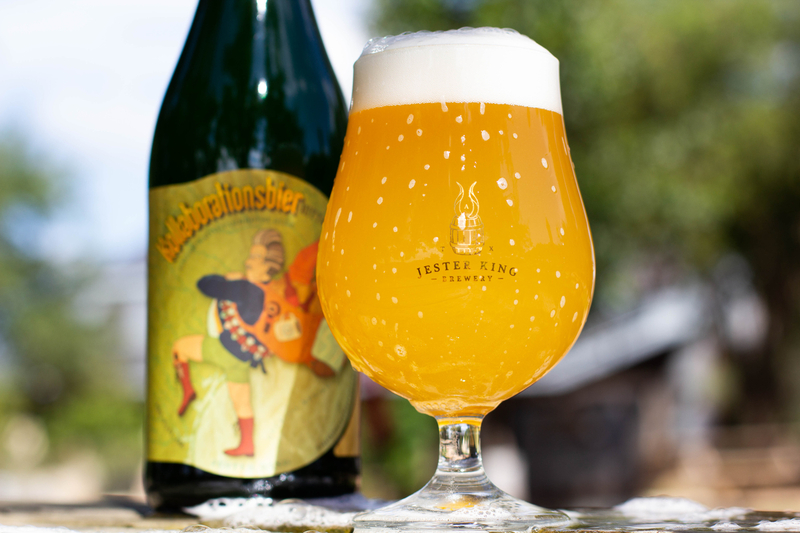 We're pleased to announce that our 2018 batch of Kollaborationsbier will be released this Friday! Kollaborationsbier is Live Oak Pilz wort fermented with our mixed culture of wild yeast and bacteria. The wort is brewed at Live Oak, then driven across Austin and out to Jester King for fermentation in stainless steel. This year's batch is 4.3% alcohol by volume. It was packaged in August. We like to serve Kollaborationsbier fresh while it's still very Pilsner-like. With time, the beer will progressively become more funky. 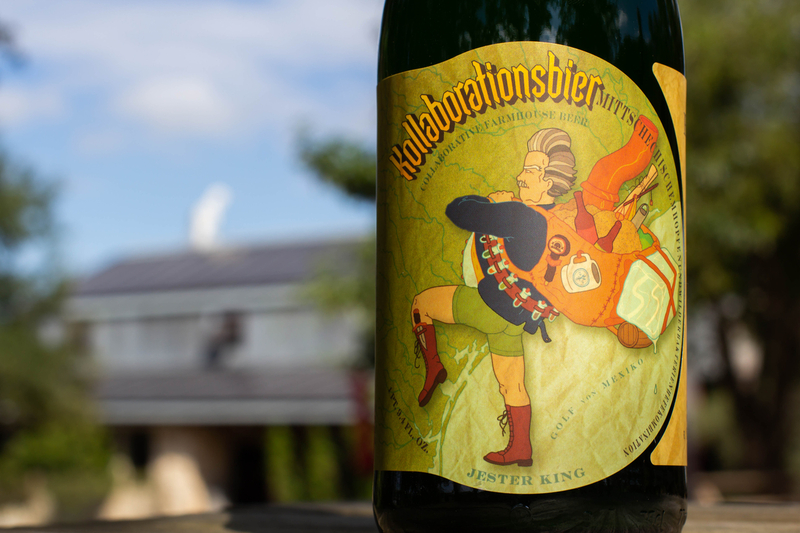 This is the fourth time we've released Kollaborationsbier. It will be available by the glass and in bottles to go (750ml / $13 / ~3,400 bottles available / no bottle limit / limited distro). We'll also be doing a mini-Live Oak tap takeover for the release. We'll have Oaktoberfest, Hefeweizen, Grodziskie and Lichtenhainer on draft. It's always an honor to work with Live Oak. They're the oldest brewery in Austin, maker of fantastic beer, and wonderful people. We're lucky to be able to call them friends!